Dr. Blier has been involved in studying the mechanisms of antidepressant treatment for 34 years. He has focused on learning how antidepressant medications work and how to make them work more effectively: studying their effects, finding new cellular targets for treatment and developing new treatments. Initially, Dr. Blier and his colleagues concentrated on the serotonin system of neurotransmission, which is believed to be a major mechanism by which antidepressants convey their effects. More recently, they have been studying the norepinephrine, dopamine, and glutamate systems and their interactions, since these have also been found to be important in mediating antidepressant response. Norepinephrine, dopamine, and glutamate are neurotransmitters, endogenous chemicals that transmit signals form a neuron to a target cell across a synapse. 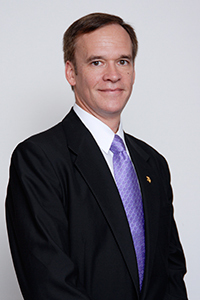 Before assuming his current post in 2004, Dr. Blier was at McGill University for 12 years, then at the Brain Institute of the University of Florida for 4 years.